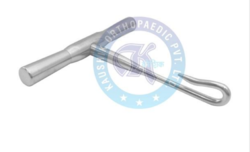 Our company is indulged in manufacturing and supplying a wide collection of Skull surgery Instruments. The range we offer to the clients is available in various range to meet their diverse requirements. Our wide range includes Spherical Bur, Gigli Saw Wire, Gigli Saw Handle,Gigli Saw Guide, Gigli Saw Introducer, Hudson Brace, and Perforator. Being one of the reliable manufacturers and suppliers, we also offer our clients a wide assortment of Gigle Saw Introducer. 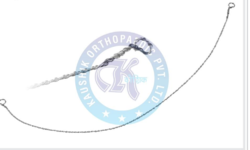 As our organization is employed by expert team members, we assure our clients for the unmatched quality, long lasting performance and rust resistant quality of these instruments. With the availability in various designs and finish, these can be availed at cost effective rate. Equipments offered by us are widely acclaimed for their rust resistant quality sturdy construction. 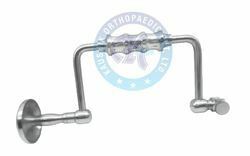 With immense experience in the field, we are able to manufacture an extensive range of Hudson Brace that are known for their excellent performance. Entire range is made up of premium quality raw material using most advanced machines and tools. These equipments are checked by our quality inspectors on various quality parameters such as performance and appearance. 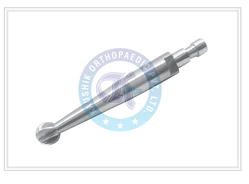 The equipments offered by us are modified as per the requirements and specifications of our clients. 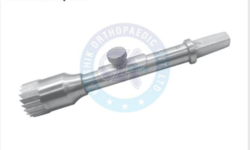 Our company is one of the well known companies that manufacture and supply an extensive range of Horselid Trephine to fulfill the requirements of our clients. All these equipments are manufactured from premium grade raw material sourced from a reliable and experienced dealer in the market. At every step of production these equipments are stringently tested as per the international standards. These sets are sturdily constructed and ensure longer durability. 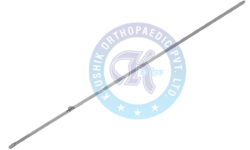 In the series of medical equipments, we are also manufacturing, supplying and exporting a quality range of Gigli Saw Wire to our esteemed clients. Our equipments are made up of high grade raw material sourced from a reliable and experienced dealer in the market. At every step of manufacturing these equipments are stringently tested as per the international norms. We are leading manufacturers & exporters of Gigli Saw Guide. Looking for “Skull Surgery Instruments”?